Laguna is inspired by Venetian landscape. A cut between the seat and the backrest characterizes Laguna's profile and gives it a flavor of the '50s. A '50s flavor marks the modularity of Laguna. 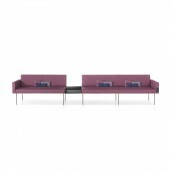 This modular sofa, characterized by its thin line, engages with space by creating sinuous, varied forms to produce a comforting and relaxed space. Dynamism and versatility emerge as traits of a modular system that can be endlessly combined and reconfigured to create light and sculptural compositions. For its ability to easily communicate with corners and pillars, Laguna is a perfect minimal ecosystem for waiting areas and of the contemporary world. 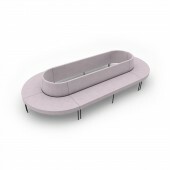 Curved and straight sofa modules with or without arms can be endlessly combined and reconfigured to create fabulous interior design compositions. Simple hidden linking devices provide additional levels of flexibility enabling to compose and recompose individual layouts. Concave and convex curved modules enable to create circular peninsula and wave layouts at varying sizes and levels of complexity. The project started in November 2016 in Venice and finished in March 2017 in Tezze sul Brenta (Vicenza), and was exhibited in Salone del Mobile in April 2017. Legs frame: Steel legs, round section 18 mm diameter. Anti-slip nylon glides assembled, suitable for any type of flooring. Frame finish: chromium plating. Seat & back inner frame: Inner structure in stratified beech plywood 18 mm thickness. Backrest support made of a steel blade, 8 mm thickness, embossed epoxy-polyester powder coating; Upholstery: Foam made of flexible crushproof polyurethane resin "Elast Performance" characterized by "smart memory", that allows the armchair to recover the initial support even after long and strong pressure. Seat, backrest and armrests padding in differentiated density polyurethane foam; Armrest: Inner frame in stratified beech plywood 12 mm thickness. Armrest with Versahit (right or left) Versahit: Powerdock with sliding cover. Standard version 2 usb (charger) 5V. Sliding cover: black matte painted. 2 meters cables included; Coffee Table: Medium-density fibreboard, 12 mm thickness; Cushions: Mixed feather padding. 3 seats straight sofa with arms 2320 mm wide x 620 mm deep x 800 mm high; 3 seats straight sofa without arms 2160 mm w x 620 mm d x 800 mm h; 2 seats straight sofa with arms 1600 mm w x 620 mm d x 800 mm h; 2 seats straight sofa without arms 1440 mm w x 620 mm d x 800 mm h; 2 seats concave curved sofa 1524 mm w x 620 mm d x 800 mm h; 1 seat concave curved sofa 1044 mm w x 620 mm d x 800 mm h; 2 seats convex curved sofa 1427 mm w x 620 mm d x 800 mm h; 1 seat convex curved sofa 1187 mm w x 620 mm d x 800 mm h; 2 seats bench 1440 mm w x 620 mm d x 440 mm h; Coffee table 480 mm w 610 mm d x 110 mm h; Cushions available in three different sizes: 450 x 270 mm - 350 x 350 mm - 540 x 180 mm. 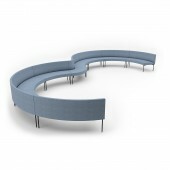 Laguna has been developed to supply lounge contract furniture with the feel of your home comfort. With Laguna modular sofa, the furniture becomes design and produce a comforting and relaxed space. 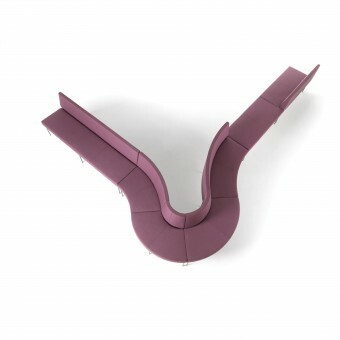 The sinuous shape of the backrest was designed to give perfect lumbar support and the armrest is provided with usb charger for mobile devices like phones, tablets and laptop computers. When I decided to launch my first modular sofa, I wanted a design that was both comfortable but not heavy. I have been exploring in-between spaces, and see how form and materials meet each other. I focused my attention on details (thin legs, a cut between seat and back) to inspire an idea of lightness and elegance. Copyrights belong to SITIA and Elena Trevisan. Sitia is a brand founded in 2002, solely dedicated to design and the making of quality “made in Italy” chairs. Sitia’s success can be credited to the guidance of “maestro” Mr. Pergentino Battocchio, who boasts 50 years’ experience in the production of chairs. 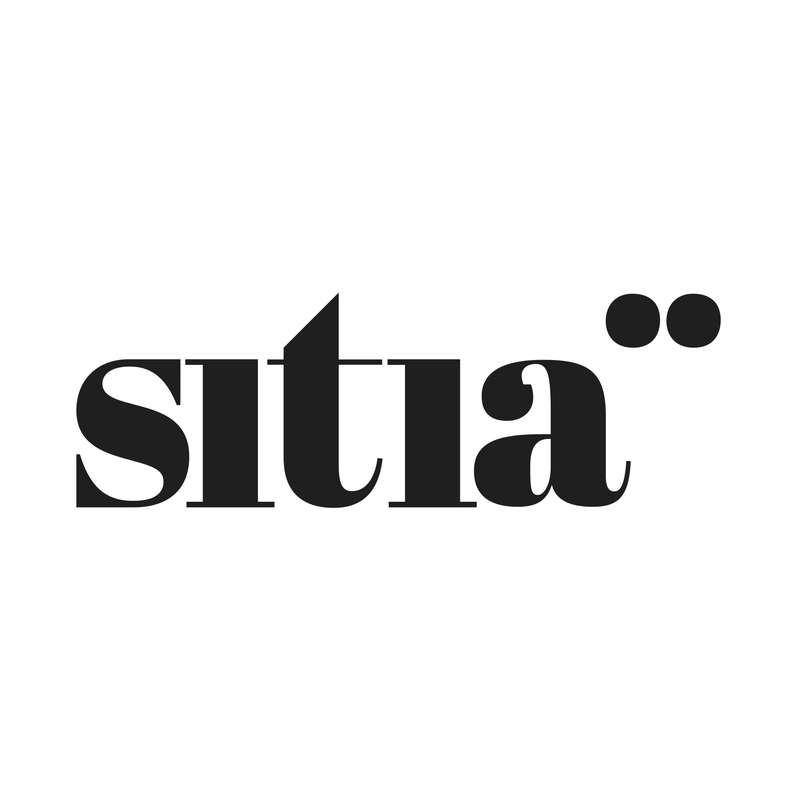 Sitia brand is a project developed thanks to deeply custom-tailored knowledge, avant-garde technologies, certified methods and innovative structural researchers. Venice artistic heritage, the city built on the water, contributes to the handmade passion with the highest level of care for details. Each Sitia chair reflects working processes value, refined materials research and territorial experience in the field. Each Sitia production’s process is personally checked by Mr. Pergentino’s excellent skills. In fact, he is able to combine the highest artisan knowledge with a new concept of interior design, answering to today’s changing needs. Sitia furniture is made by people for people, promoting the concept “the human contract”, inspired by new human professional needs. Indeed Sitia is able to satisfy the needs of everyone offering a wide range of materials, configurations and prestigious finishes as copper, gold, and black nickel-chromium plantings. In addition to the catalog collection, which includes a selection of premium finishes, a branch of Sitia is dedicated to the tailoring of products to satisfy both customers and architects specifications. The authenticity of Sitia creations acts as an ambassador of Italian design in the world, a design characterized by all internationally recognized features such as technological innovation, technical skills, quality and a strong sense of aesthetics. 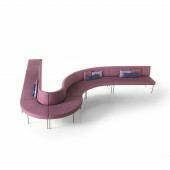 Laguna Modular Sofa by Elena Trevisan is a Nominee in Furniture, Decorative Items and Homeware Design Category. · Click here to register today inorder to be able to view the profile and other works by Elena Trevisan when results are announced. Laguna Modular Sofa by Elena Trevisan is Winner in Furniture, Decorative Items and Homeware Design Category, 2017 - 2018. · Press Members: Login or Register to request an exclusive interview with Elena Trevisan. · Click here to register inorder to view the profile and other works by Elena Trevisan. Did you like Elena Trevisan's Furniture Design? Did you like Laguna Modular Sofa? Help us create a global awareness for good furniture design worldwide. Show your support for Elena Trevisan, the creator of great furniture design by gifting them a nomination ticket so that we could promote more of their great furniture designs.